Recognised by millions around the world for his work on ‘The Weakest Link’, many will not have recognised that Jon Briggs – a British voiceover artist – is also ‘Daniel’, the male voice behind Apple’s new virtual assistant Siri which launched with the company’s new iPhone 4S smartphone. 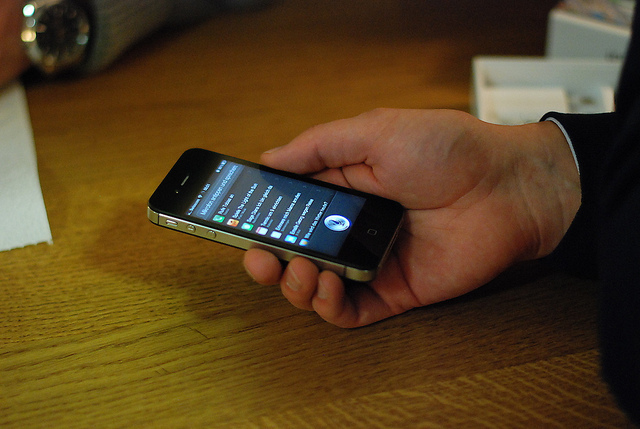 In an interview with The Telegraph, Briggs revealed that a public relations representative from Cupertino-based company called him shortly after the launch of the iPhone 4S to ask the artist to not publicly talk about his work on Siri and the products on which it was used. With the Apple PR representative noting “we’re not about one person”, Briggs indicated that whilst he was indeed the voice behind the assistant, he had recorded the thousands of words, phrases and sentences behind the British Siri assistant six years previous and had no formal contract with Apple. Apple uses a number of different personas according to your location, with Briggs’ ‘Daniel’ loading as a default personality on iPhone’s sold in the UK and other regions. Read the latest Apple news and discussion every day at TNW Apple.